How To Deal With Grade 1 Fatty Liver? Are you concerned about your liver health? 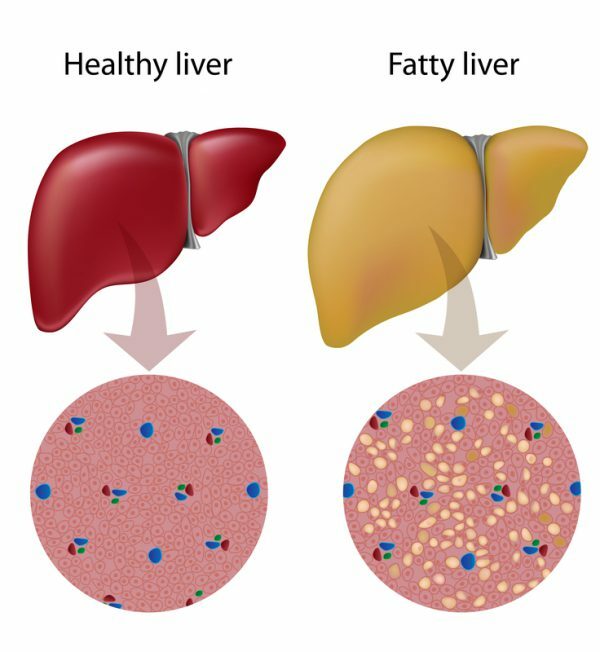 Do you want to learn how Grade 1 fatty liver differs from Grade 2 and Grade 3 fatty liver, and how to prevent Grade 1 fatty liver from progress into further annihilating condition? If you answered affirmatively, then just give our article a read to discover all about Grade 1 fatty liver and how to deal with it easily and effectively. The liver is the most crucial and the largest internal organ in the human body. Also, your liver plays a vital role in carrying out multiple functions of your body smoothly and in keeping the metabolic balance of the body stable. It functions as a filter of your digestive system, and it is responsible for the secretion of bile. When you eat, your digestive system breaks food into simple form with the help of bile. This simple form of food is either used to produce energy for different functions of the body or stored as body fat. Fatty liver is a condition where fat cells get accumulated in your liver and hamper the normal, smooth functioning of the liver cells, ultimately causing disturbances in your body’s metabolism. If you are a heavy drinker, your lifestyle is sedentary, you have excess abdominal weight, or you have a family history of liver disease, diabetes, or hypertension then you are at a high risk of developing fatty liver, and this may compromise the health and functioning of your liver. As a result, your liver undergoes a decrease in its ability to break down the ingested food and remove fats that reaches the liver. In the early stages, many people with a fatty liver are not aware of the fact that they have a liver problem, as Grade 1 fatty liver symptoms can be vague and non-specific. In some cases, fatty liver is accidentally detected during routine blood investigations or ultrasound scan (sonography) done for some other complaints. In Grade, I fatty liver, fat accumulation occurs only around the outer surface of the organ, which really does not interfere with the functions of the liver at all. Grade 2 and Grade 3 are more severe forms, which require more intense efforts in helping the individual to recover fully. When you notice “Grade I fatty liver” diagnosis on your sonography report, it is an alarming sign. Timely investigations (liver profile, lipid profile, and blood sugar levels) done along with proper treatment and lifestyle changes can help stop the further progress of fatty liver. Do Regular Exercise & Regulate Weight Gain: Obesity is one of the maintaining factors responsible for the development of fatty liver. Regular exercise routine and following weight loss programs can help you in controlling the further fatty changes in the liver. Avoid Alcohol: Alcohol is one of the major causative factors responsible for fatty liver. If you have Grade I fatty liver, cut down your alcohol intake and save your liver from the further damage. Think Before You Eat: Eating a well-balanced meal every day can easily help you to maintain your liver in a healthy condition. Eat Plenty Of Leafy Greens & Fruits: Eat plenty of green vegetables and fruits, as they are rich in antioxidants and help detoxify your body by flushing out the toxins. These nutritious foods also contain natural enzymes and immune boosting substances that can further strengthen your liver. Add Whole Grains To Your Diet: Whole grains that are unprocessed contain essential vitamins which are required for the successful breakdown of toxic substances that can end up in the liver after the blood filtering process. Restrict Intake Of Salt & Sugar: Keep salt and sugar consumption minimal. Choose Healthy Cooking Oils: Use healthy oil for cooking preparations. Go for healthy oils, such as olive oil, coconut oil, and flaxseed oil, and similar other safe and healthy oils, to cook your regular food preparations. Cold pressed vegetable and seed oils to contain essential fatty acids in their natural form that are essential to maintaining a healthy liver. So, you can include them in your diet. Control Cholesterol Levels: A healthy approach to avoid consumption of saturated fats in the diet can reverse fatty liver. So, follow healthy eating habits and make efforts to regulate your cholesterol levels effectively. Control Your Sugar Levels: If you are diabetic or having a strong family history of diabetes, then managing your blood sugar levels with lifestyle changes and medications can stop further advancement of fatty liver into something serious like cirrhosis or liver failure. Homeopathic medicines improve your liver functioning by working on and improving the underlying disturbed metabolism. Homeopathy helps reduce the symptoms of fatty liver as well as modifies the disease process. With the help of research-based medicines of Dr. Rajesh Shah, liver functions and other metabolic parameters can be controlled effectively, and eventually, they can also help prevent the risk of liver cirrhosis or liver failure. Sir my name is Moorthy. and I am 65 now. Your article has been really helpful to overcome the grade 1 fatty lever condition. Yesterday I had a ultrasound sonography and it was reported that i have a Grade 1 fatty lever condition. The SGPT and SGOT readings are 79.3 and 64.4 respectively. I would like to know what homeopathic medicine should I take at this time and how long. What is the frequency of medical investigation should I adhere to. Your contribution for health awareness and advice is commendable. I understood the Grade 1 Fatty liver problem reading your article . Thanks.